Wiktor Osiatyński is an author, lecturer, lawyer and social activist. Wiktor studied law and sociology at the University of Warsaw and the Polish Academy of Sciences, completing his doctorate in sociology and then his post-doctorate in legal studies. In the early nineties, Wiktor was the director of Chicago University’s Centre for the Study of Constitutionalism in Eastern Europe, before moving back to Central Europe to become a professor at Budapest’s Central European University in 1995. Wiktor also works for the universities of Siena and Connecticut on a part-time basis, has lectured at Columbia, Stanford and Harvard and previously sat on the Committee of Political Sciences at the Polish Academy of the Sciences. He specialises in constitutional law and the history of political and legal doctrines. 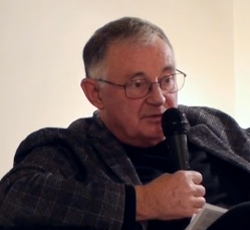 Outside of academia, Wiktor is known for his socio-political activism and worked on the establishment of the Helsinki Foundation for Human Rights’ Strategic Litigation Programme – on whose council he still sits – and has consistently engaged himself in the fight against alcoholism, co-founding an educational commission in the field of alcoholism and publishing on the topic.